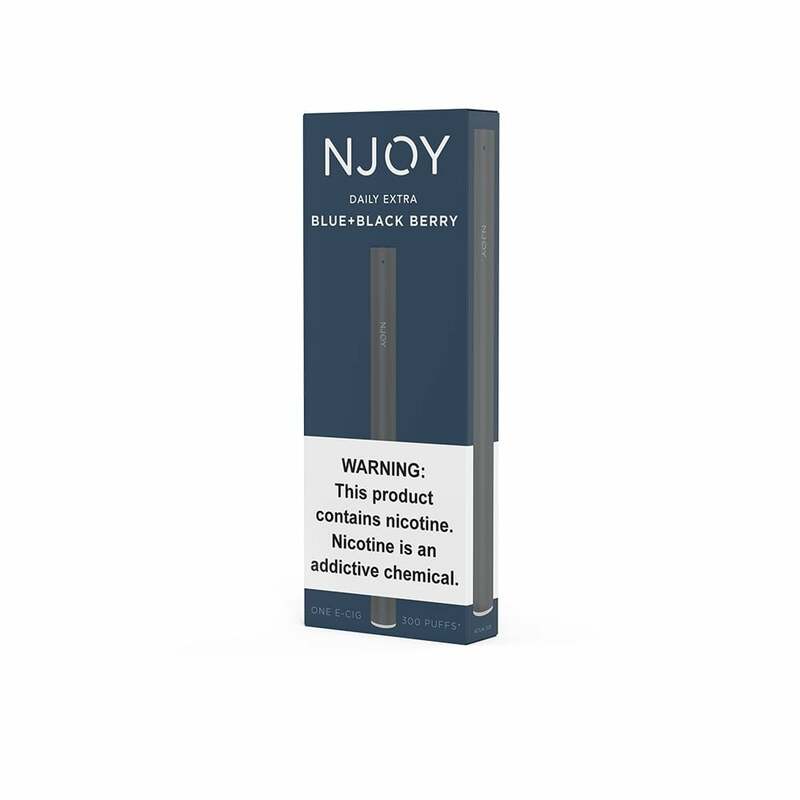 The NJOY Daily is also available in a range of menthol, tobacco, and fruity flavors. An alternative to the regular tobacco/menthol flavors that you are perhaps more familiar with. Blueberry offers a sweeter alternative without sacrificing any nicotine hit. Get it in regular nicotine strength, smooth (4.5%), or extra (6.0%). The flavor is just right.i am switching from menthol. Always great product! Such a good and friendly company and love the staff! Amazing products as always! Thank you for being an amazing team! Fast and great products as always. Order every Friday from you guys! Great products and their such a great team!!! Awesome product as always! spend a lot of money with company. Well worth it! Fast delivery and always perfect! Thank you! 60mg. Great taste. Best disposable I have ever puffed on.